Ruthi Hamaoui began working at Shaloh House in 1997. She was raised in Israel and completed her studies at the Bais Yaakov Seminary of Jerusalem, where she majored in preschool education. She began her career as a preschool teacher in 1982, and she has worked in this capacity in Jerusalem and locally in Boston. Her husband is the Rabbi of the Sephardic Community of Greater Boston, and Ruthi has also taught for many years in the Hebrew day schools of Boston. Ruthi works to reach every child's needs, both academically and socially. The program in her classroom includes Hebrew studies as well as general studies, and the children learn in a fun, active way. 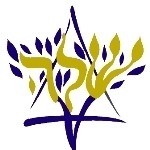 Hebrew studies include Aleph-bet, an understanding of the main points of the weekly Parsha, and the Yom Tov of the season. General studies include recognizing various shapes and colors, and the children are introduced to the ABCs. The children also learn to count in both English and Hebrew.